and everywhere in between. Originally hailing from Chicago, Jesse's been a working and touring DJ for over 16 years. rides the line between Deep House and Ambient Downtempo. He has released three full length albums and numerous singles and EPs. In addition, his music is often licensed for film and television, with placements on shows including Shameless, CSI: Miami, the Vampire Diaries, Royal Pains, Greeks, True Life, MTV's Real World, Iron Chef, Anthony Bourdain's The Layover, and many more. He scored the original music for the motion picture Y-Yoga, a documentary about yoga's development in the West. We are so excited to welcome our friend back. 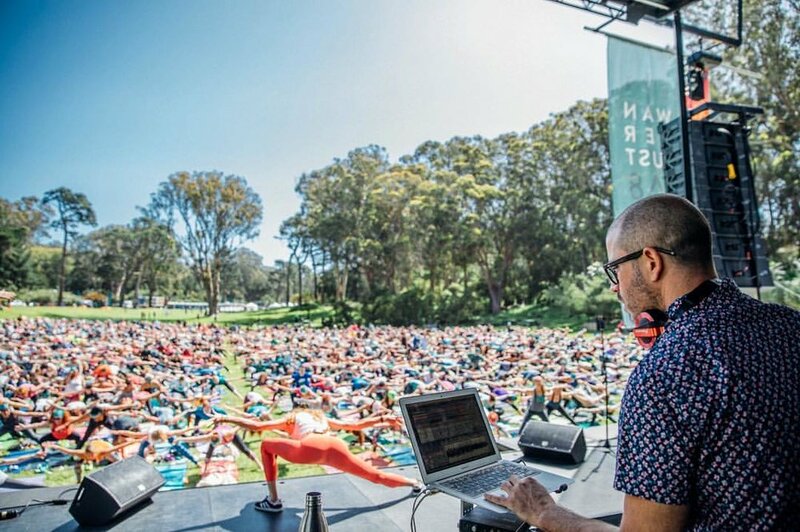 At the festival he will accompany several yoga sessions and lead his own sets and also take on the DJ challenge line-up as part of Silent Disco.